Massachusetts General Hospital (Mass General or MGH) is the third oldest general hospital in the United States. Founded in 1811, MGH is the original and largest teaching hospital of Harvard Medical School. Mass General celebrates the founders of the hospital, Dr. James Jackson and Dr. John Collins Warren who were also early members of the Boston Athenæum. 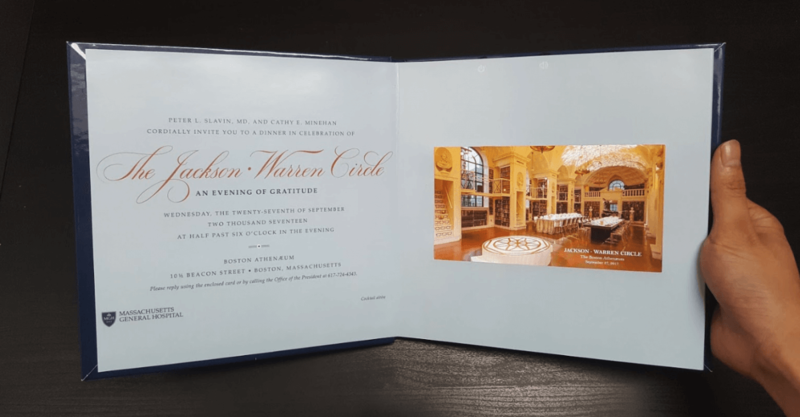 They are using bigDAWGS’ Video Greeting Card as a dinner invitation at The Jackson ● Warren Circle of Boston Athenæum.